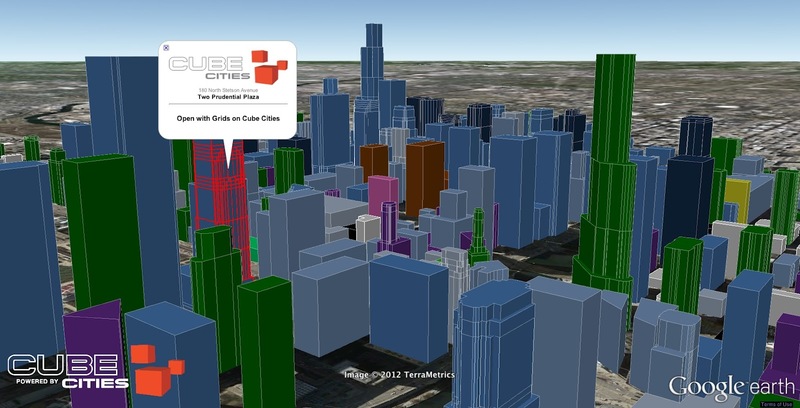 The Cube Cities technology platform allows for the rapid generation of city visualizations. 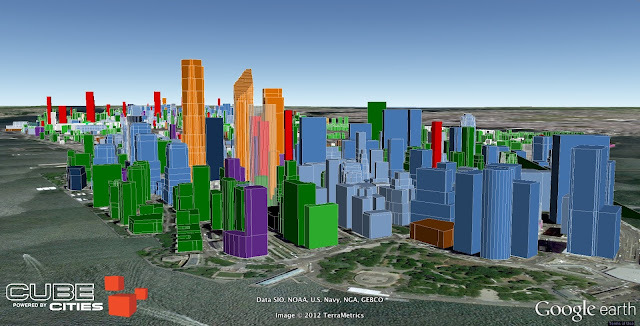 This capability allows us to create amazing views of cities to illustrate urban density and building usage. 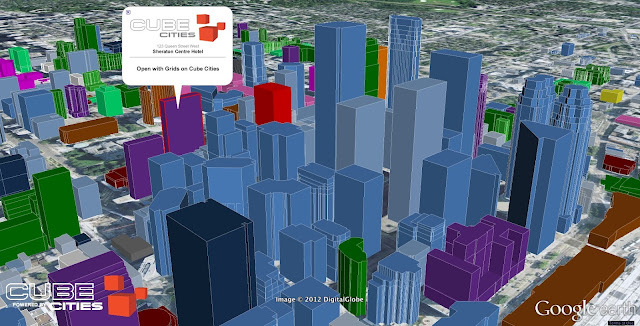 In our cities with data coverage, we track existing structures, construction projects and proposed developments. All of these can be explored on our website with our Skylines page. Click here to visit our Skylines page to see these city views. Selecting any building will open a menu that links to the building's Grids page, showing where any available leases are located and allowing users to share building information.